Look No Further! 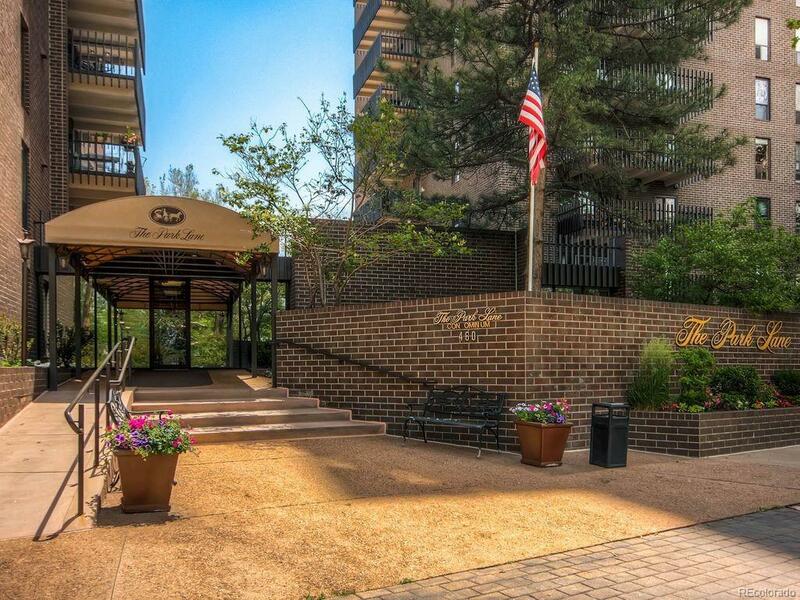 This 1 bedroom, 1 bathroom condo is your opportunity to live in a luxury building just steps from sought-after Wash Park! Spacious covered balcony on the top (20th) floor offers STUNNING, unobstructed views of the Mountain Range! Breathtaking! Open floor plan; Living Room and Dining Room, and Kitchen with quartz countertops, stainless-steel appliances, and additional countertop seating x4. Master Bedroom has private access to the balcony! Amenities include: Indoor/Outdoor Pool and Hot Tub, Fitness Center, Game Room, Clubhouse, Guest Rooms, Private Gardens, Storage Room, Bike Storage, Laundry Room (HOA will allow you to install w/d in your unit! ), and 24-hour concierge/security. HOA includes Cable and Internet. The best part is the Wash Park Location! Dont miss this opportunity! Call now to schedule your personal showing!